GOAL MAGIC | Listen Free on Castbox. If you’re listening to our show it’s usually because you have an entrepreneurial spirit, and are seeking stories and content that feeds that part of you. Many of you may still be in corporate jobs and grinding away, but know that there is something better...more fulfilling...and more rewarding than what you’re doing at your corporate job. Some of you may actually have a hunch as to what that is because you have a hobby or side hustle that you love, but are too scared or aren’t sure whether you can make a living from it, even though that’s really what your heart wants. Today’s episode will make you want to take the leap after you hear Kathryn’s story about how she built Bohemian Bosslady and exited corporate to live a more fulfilling and intentional life. About Kathryn Morrison: Kathryn grew up as your stereotypical "smart kid" and regurgitated information really well on standardized tests. And while the external validation that came from that felt pretty good for the ego, she always had a more creative, bohemian spirit. After college she honored that spirit and took off to live in Namibia for a year as a volunteer teacher. But returning home afterwards the Great Recession was in full force, so her fearful lizard brain mapped her straight into the corporate world, then spending a number of years in business strategy and development in tech companies between San Francisco and Austin. But despite the cushy salary, there was always a gnawing feeling that she wanted something more, better...different. She tried to cover the feeling with social media scrolling and the nightly glasses of wine, but after having children she realized how out of integrity she was with telling them to go after her dreams, when she had abandoned hers. After crafting a life and business fully in alignment with her values and priorities, she now helps others do the same. Connect with Kathryn Morrison: Socials: @bohemianbosslady https://bohemianbosslady.com/ Here’s to Getting Unstuck, Cynthia Sponsor Love: This week our show is brought to you by Brennen’s “Morning Habits.” Brennen shares his tips for his morning routine that help him rock his day. All of his tips are easy to use and incorporate into your life so even if you only try one, you’re going to get some amazing benefits from it! 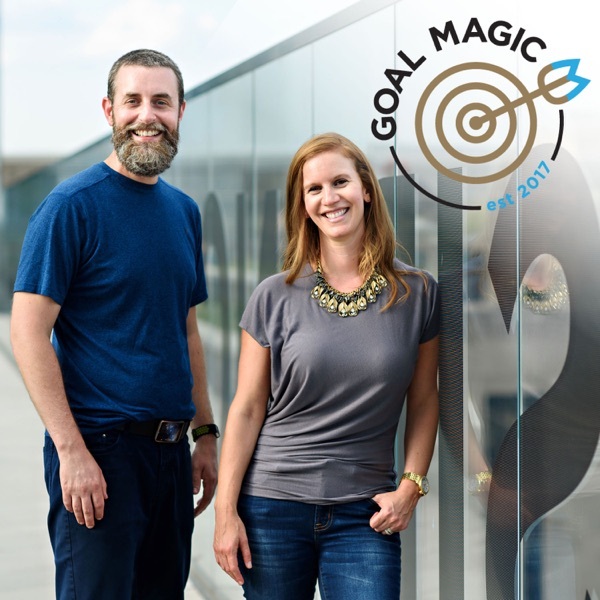 I don’t want to give anything away so just go to www.goalmagic.co/morninghabits to get your tips today!